Question for this week: Are you allowing Joy into your life? 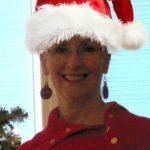 Welcome to week 3 of Stress Relief tips and audios for the holidays! 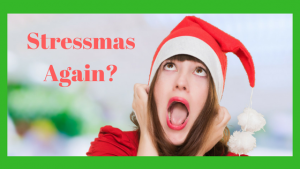 I just learned a new word this week: Stressmas! I laughed out loud when I saw it on a post from a colleague. Unfortunately, it does seem to fit the season. How can we change that up-even just a bit? I know, it’s a busy time of the year with added on things to do amidst the already full loads most of us carry during our daily lives. Yet, I believe it’s essential to explore how we might allow for more joy to permeate our souls, instead of feeling condemned to the season of Stressmas! Here are my thoughts on this, what do you think? Will you gift yourself more joy this holiday season and change your story about what is possible? Read on share your thoughts below! I’m all ears! With all the focus on giving during this time of the year, a worthy focus indeed, it can get stressful if you are not allowing yourself to receive as well. And, I’m not talking about receiving gifts. I’m talking about allowing yourself to receive joy. You may be thinking: What does that mean? So often when caught up in the holiday frenzy of gift giving, you can begin to feel drained. There can be lots of decisions to make, decorating, details to attend to for parties, meal planning and so much more. 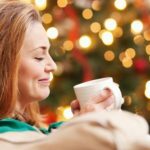 If you don’t consciously take time out to give yourself some inner peace, you will find yourself feeling more like Scrooge instead of the big jolly elf! You’ll start to feel closed down. When you feel closed down, there is no opening for receiving. 3 tips to help you open up and receive feelings of inner joy and peace. Sometimes you just need a “breath of fresh air” to get re-connected into YOU! You can do this by setting a timer for every hour so that you stop whatever you are doing and get yourself out of the environment that could be draining all your energy. You might take a walk-out in nature, as walking in nature has shown to be very therapeutic-even if it’s only for 10 minutes in a park. If the weather is not conducive to being outside, turn on some upbeat music and let yourself listen and maybe even dance around-if it’s only in your chair. Close the door so no one can disturb you and you won’t be worrying about what anyone else thinks! There are many other ways to take a Time Out, what’s important that you do so regularly, so you can get back connected to you and find that sanctuary of inner peace. Imagine you are breathing into your heart. There is some scientific evidence that focusing in on your heart while breathing allows your heart rhythms to sync into a coherent pattern that produces feelings of well being. Whether science can confirm this or not, I know it definitely produces a positive emotional response. Take 5 minutes and breathe deeply focusing in on your heart. It can help to be even more connected if you put one or both hands over your heart. It’s amazing how quickly you feel connected and joyful. Write them in a special place every day, perhaps a journal or even a grateful “box” that you deposit them into. You’ll notice as you focus on gratitude, you feel better right away. When in a state of gratitude, you are in an ultimate state for receiving! What you’ll receive will be those beautiful feelings of love, joy and feeling connected to all there is! Now that is something to be grateful for! 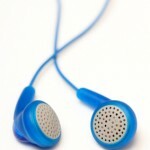 The audio for this week is heart centered breathing along with the opportunity to focus on what you feel grateful for. Enjoy receiving this heartfelt gift for yourself! The Stress Relief Toolbox: For Women Who Take Care of Everyone But Themselves. Still time to get it from Amazon.com for gift giving for someone else or especially for yourself at a special reduced rate for the month of December! I wish you a great week filled with the richness of joy and inner peace. Shopping made easy right here! available at Amazon.com in paperback or Kindle versions. Lots of quick easy tools for more stress relief! An easy gift of love to give! 3. $97.00 1 hour Hypno-Coaching Phone session for you (wonderful self care gift) or someone on your list! Can be used to plan your goals for 2018 and set them into your subconscious or for whatever else you want support on! **Arrange for your session by December 20th-even if the session is scheduled 1 week later or in new year! Please let me know how you like the audios and the mpact they are having on you!